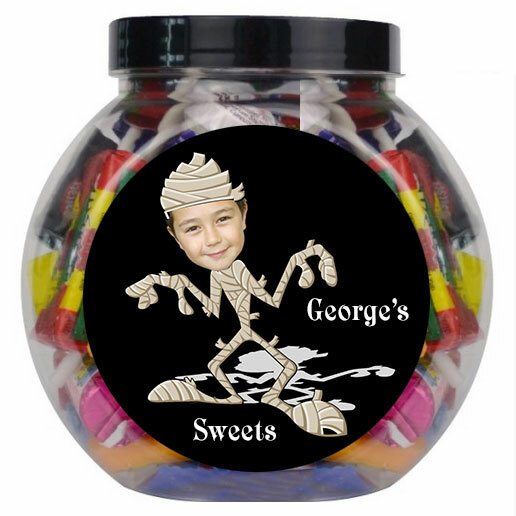 Categories: Halloween, Sweet Jars. 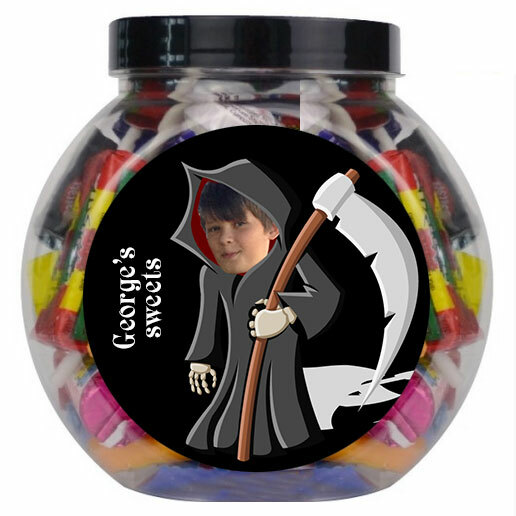 Tags: grim reaper halloween photo gift, halloween sweet jar with photo, halloween sweet jars, personalised halloween sweet jars, personalised sweet jars. Make your special person into this Halloween spooky, gruesome Grim Reaper. 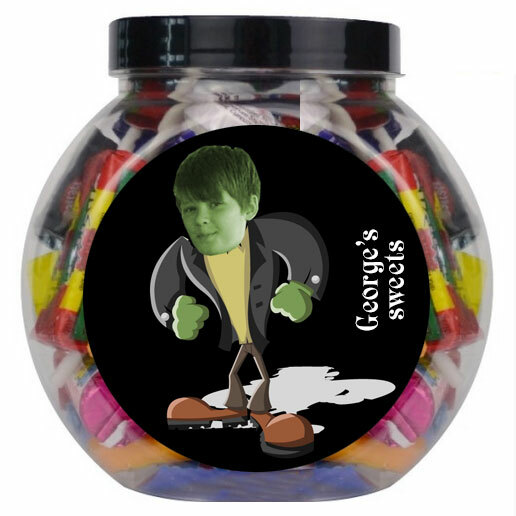 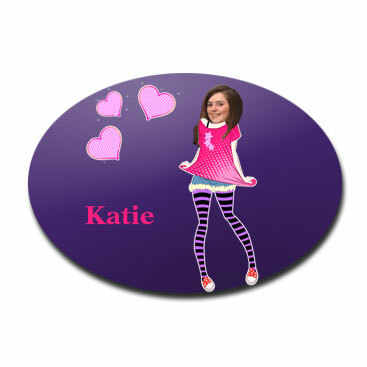 Personalise a jar of classic mixed sweets with their face and name. Black jacks and Drumsticks will never look the same again.